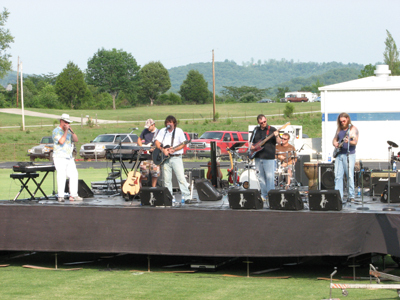 Con was happy to perform at a benefit show on July 7 in LaFollette, TN. The proceeds from the "Reach Out For Kids" concert went to REACHS Children Centers in Campbell, Claiborne and Union Counties. The organization focuses on helping children and their families that have been victimized by child abuse. 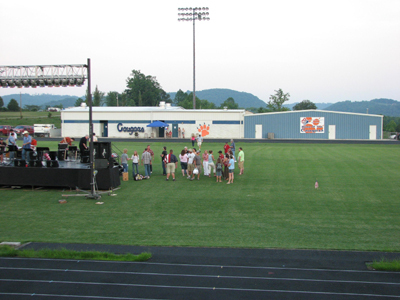 The event was held outdoors at the Campbell County High School Football Field, and a great time was had by everyone who turned out to support the cause. Next up was Uncle Funky and the Z. Rowe Cash Band. This group's specialty is R&B and music from the 70's, 80's and 90's. 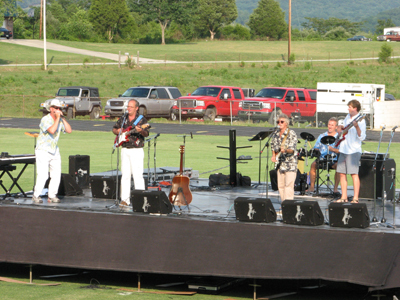 They did a terrific job entertaining the crowd with all those songs we remember so well. They too were more than happy to donate their time and be a part of this great cause. Hot new country act Crossin Dixon was next on the bill. They did a really nice acoustic set. 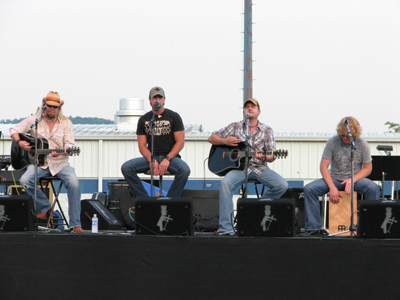 These guys were also proud to give of their time and talent to support this event. WIVK's popular radio personality Gunner hooked up with Con before he took the stage. The two have been friends for years, and Gunner has been one of Con's biggest supporters. 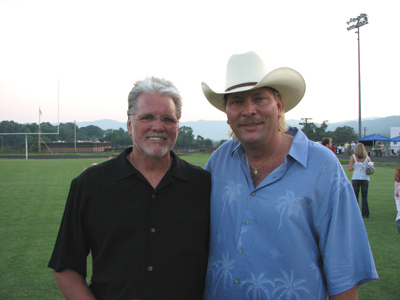 He always wants to be the first to interview Con when there's a new CD or single to bring to country music listeners. 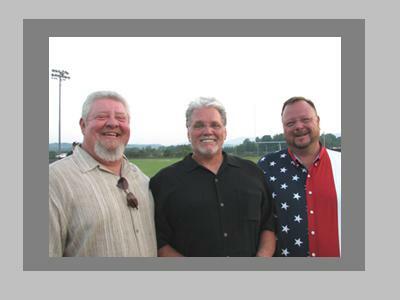 Con shares a laugh with another popular East Tennessee radio personality Phil Williams, left and event sponsor David Hall of Hall's Salvage, right. They look like they're here to have a good time! 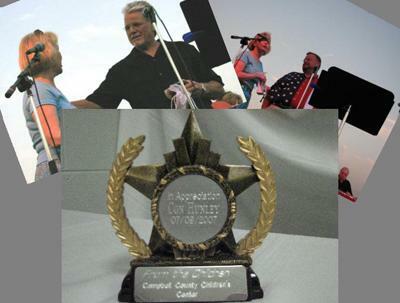 As Con was introduced to the crowd, he and David Hall were each presented with an award in appreciation of their commitment to the children of the REACH organization. 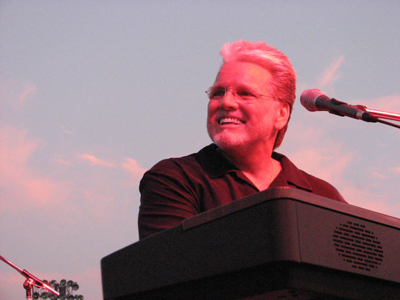 Con's portion of the show began just as the sun was beginning to set.The combination of the setting sun and the stage lighting makes for some wonderful, unique images of Con and the band. ... a beautiful backdrop for the show! The evening was capped off by a sensational fireworks display ~ a great way to end a dynamite show!